After Mortal Kombat’s release on home consoles last year, it now takes the plunge into portable gaming on the PlayStation Vita. So does the Vita version provide the same quality as its counterpart or does it give itself a fatality? The story follows the events from the previous instalment of Mortal Kombat: Armageddon and shows Raiden beaten to a pulp by Shao Khan. With his last bit of powers, Raiden sends a message to his past self giving him a hint of what to do. 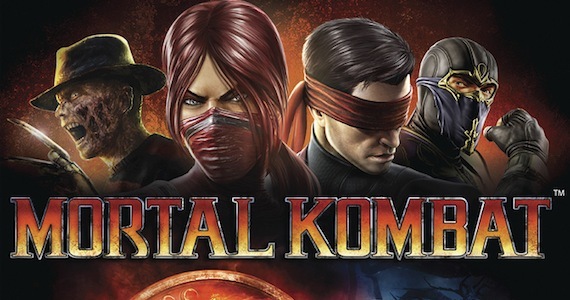 As the story goes on, you’ll play as different characters showing their part in the Mortal Kombat Tournament. Apparently Mileena fights better with minimal clothing. For a fighting game to have a story is new, unexpected and surprisingly well thought out; the storytelling is great as cutscenes flow seamlessly into fights which is great to see. However the time travelling is a bit Cliché as it throws the stories of previous instalments away (not necessarily a bad thing but it feels like it's gone to waste) and you don't get spend a lot of time with each character. Overall the story of Mortal Kombat is nicely done and executed very well. Mortal Kombat is known for the bloodiest of encounters between two fighters and it still is on the Vita. The gameplay has not changed one bit from the home console versions; the controls remain the same with two punch buttons, two kick buttons, a block button and a throw button. X-Ray moves still look as brutal as ever and are easier to execute by simply tapping the screen. What is with Johnny Cage and punching people in their private parts? The game modes vary so that players can keep playing; apart from the story mode they have the typical arcade ladder mode, tag ladder, and the challenge tower as well as the mini games, Test your might and Test your strike. In addition to these modes they've also included a bonus challenge mode and extra mini games that utilises the Vita's touchscreen and accelerometer. This makes the game constantly challenging and fun to play e.g. Test your slice uses the Vita's front touchscreen and is similar to Fruit Ninja but instead of cutting fruit, you're cutting body parts and guts. Along with the new modes, the DLC Characters from the home console versions (Rain, Skarlet, Freddy Krueger and Kenshi) have been included into the game so no there's no need to fork out more money for them. Mortal Kombat provides a basic online experience with only three modes: Ranked Match, Player match and the private match. Mortal Kombat isn't the best when playing online as fights always have a bit of lag that threw me off when doing combos. However when playing online it uses the Vita's microphone so you can hear what your opponent is saying, which is kind of fun to as you can hear your opponent raging at your consistent button/move spamming but unfortunately you can't turn it off. Mortal Kombat's graphics on the Vita are stunning to stay the least as it still plays at a smooth 60fps so there is no difference from its home console port. Freddy Kreuger was an awesome addition to the roster. Fighting arenas are well detailed, character models look great and animations are still as gory as ever especially when it comes to the X-Ray moves and Fatalities; X-Ray moves provide bone crunching, gut busting, skull cracking and much more to the Mortal Kombat repertoire, which includes their infamous Fatalities that gives a Gruesome end to your opponents life thus giving a satisfying end to a fight. Mortal Kombat is graphically great on the Vita. Mortal Kombat is one of the best games on the Vita right now because this isn't just a port of the home console version, Mortal Kombat on the Vita is unique; Utilising the Vita's features allows them to include functions that go beyond its counterpart and in turn, keeps the game interesting. The graphics are amazing for a handheld and the story is fun to play through. Although the online gameplay isn't as good as other games on the Vita, It's still a great game overall.